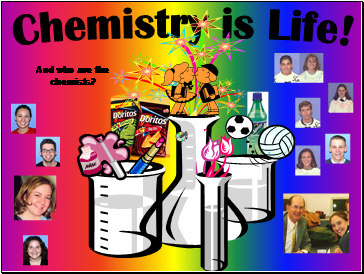 And who are the chemists? 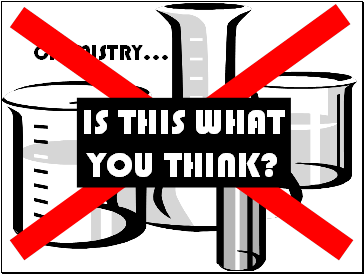 -Too often kids get to high school chemistry and they are scared before they even begin. 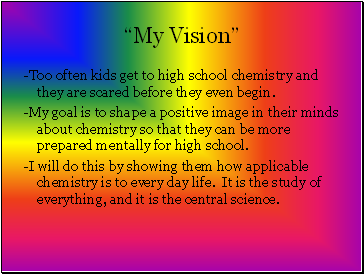 -My goal is to shape a positive image in their minds about chemistry so that they can be more prepared mentally for high school. 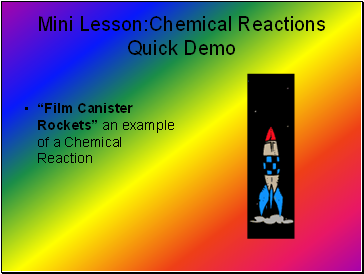 -I will do this by showing them how applicable chemistry is to every day life. 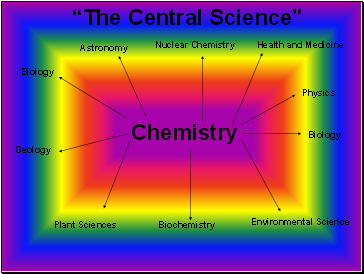 It is the study of everything, and it is the central science. “Mary had a little lamb. 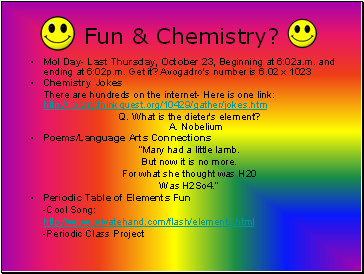 But now it is no more. 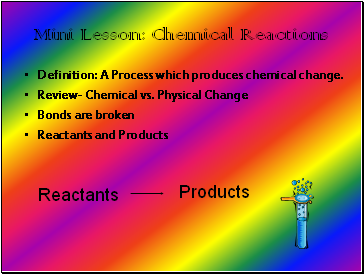 Definition: A Process which produces chemical change. 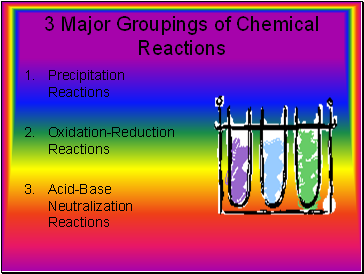 Precipitation reactions: When an insoluble solid called a precipitate forms when reactants are formed together. 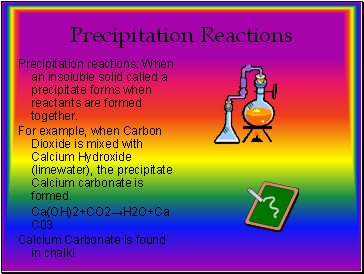 For example, when Carbon Dioxide is mixed with Calcium Hydroxide (limewater), the precipitate Calcium carbonate is formed.